1000 children with special needs have already visited Beit Hatfutot thanks to the generation donation by the Slomo and Cindy Silvian Foundation, Inc, of Long Island, New York. This kind support, organized by the Israel Friends of Beit Hatfutsot, enables the Koret International School for Jewish Peoplehood to host the children in a fascinating seminar on issues such as Jewish identity and self esteem. The specially-designed program serves young people aged 6-21 with a tailor-made tour, lunch and an integrated educational programming workshop. Groups have the opportunity to tour the newest wing of the Museum of the Jewish People, opened in May 2016, which was designed from the outset as a standard-setter in terms of accessibility and inclusion. 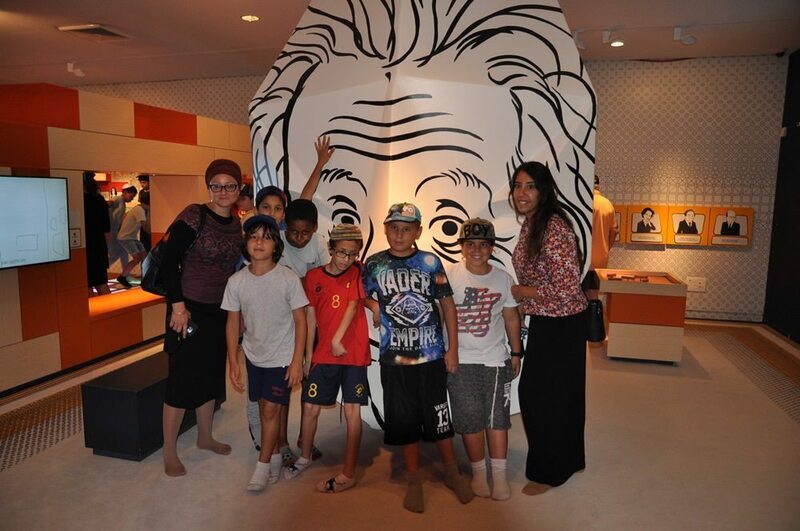 So far in 2017, the Gvanim school from Modiin, the Beit Eckstein school from Gan Shmuel, and the Horev school from south Tel Aviv have all benefited from this pilot scheme, with the Museum working to bring additional groups from all corners of the country by the end of the year.